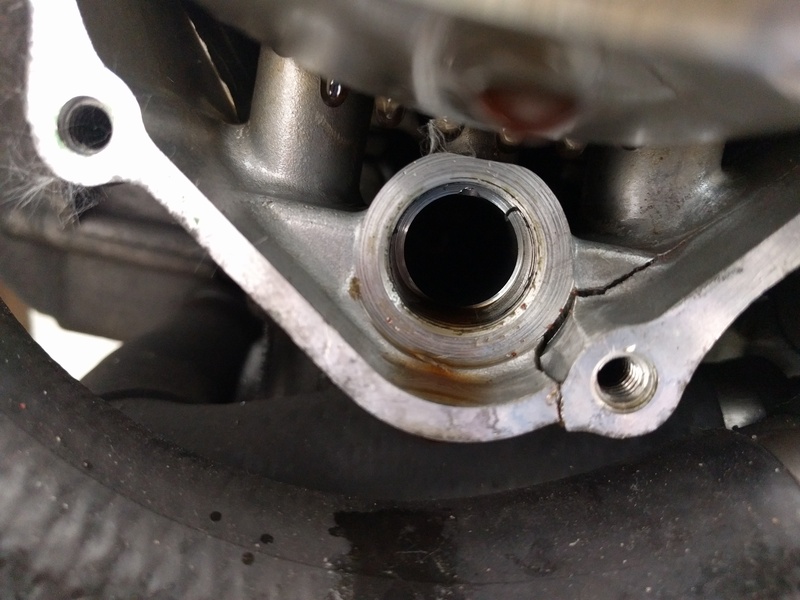 I have a question about my 1998 CB 600 F.
A couple of weeks ago i got hit by a car while standing still. I leapt of my bike just in time to save myself from getting hit. However my bike got hit end toppled over hitting a curb with the left side of the bike. This resulted in a small crack behind the stator cover. The cover itsself was broken into 5 parts. My Question is can i repair it using liquid metal? My father said that he can fix it but is this viable? My Other option is to buy a CB 600 s with some damage to the front fork and fairing but what parts would fir my bike? Can you show us another pick zoomed out. I vote to replace it also. You might get away with a repair for a while, but it wont hold.